The first ten years of the fifth century A.D. were the worst decade that Italy had experienced at the hands of foreign enemies since the days ofHannibal. Insevenoftheseyearspowerfularmiesofbarbarianinvad­ ers were on Italian soil. 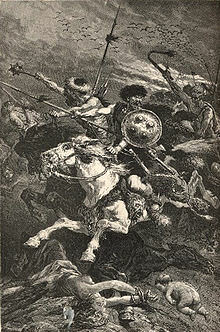 In each of the years 408, 409, and 410 Rome itself was besieged, and in 410 the city fell to a foreign enemy for the first time since Brennus and his Gauls captured it 800 years earlier. The civilized world was dumbfounded. There were less civilized Romans, however, who were by no means at a loss to know how to handle the situa­tion.